Indian Country Today has put an emphasis on mobile consumption — and revived itself after nearly shutting down — in the past several months. The news site Indian Country Today has bounced back after briefly suspending publication last fall. In May, it was relaunched, delivering news primarily through cell phones, other mobile devices and online. “I really want this to be seen as an innovative journalism enterprise aside from being a Native one,” said Mark Trahant, Indian Country Today’s new editor and a member of the Shoshone-Bannock tribes. Mark Trahant was hired to revive the news outlet after it nearly closed down last fall. The longtime journalist, blogger and former executive news editor at the Tribune was hired earlier this year, when the National Congress of American Indians, a Washington, D.C-based educational nonprofit, took over the ailing news organization. Now Indian Country Today is designed for mobile devices because they’re ubiquitous, even in the most remote corners of reservations. And, Trahant said, millennials check their phones 150 times a day on average. 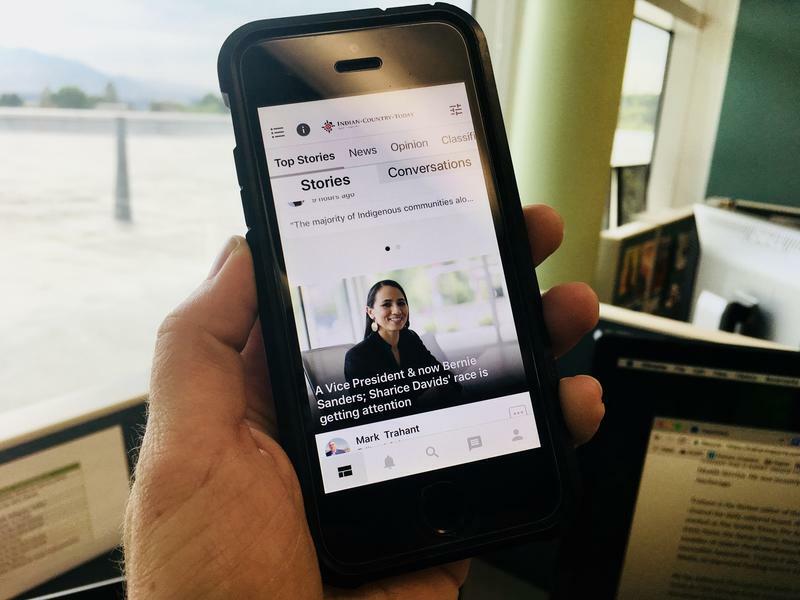 Indian Country Today's app on News Maven puts an emphasis on conversations around the stories. Accessed through the Maven app, the Indian Country Today page offers tabs for “stories” and “conversations.” Stories zero in on issues that might be overlooked in mainstream media, like how separations of Native American children from their parents used to be U.S. policy. That story sparked dozens of comments and thousands of shares during the height of the national firestorm about family separations at the southern border. Doctor said most digital news reading takes place on cell phones. And he added that few news organizations have done a good job of harnessing the full power of smartphones — especially their power to facilitate active dialogue within communities. “It provides a direct communications link between publishers and journalists on the one hand, and the readers on the other,” he said. Freelance media consultant Sahar Khadjenoury, a Navajo, said she’s looking forward to watching Indian Country Today bring together members of all 573 federally recognized Native American tribes. July 24, 2018 - The number of federally recognized tribes has been corrected to reflect the most current update. 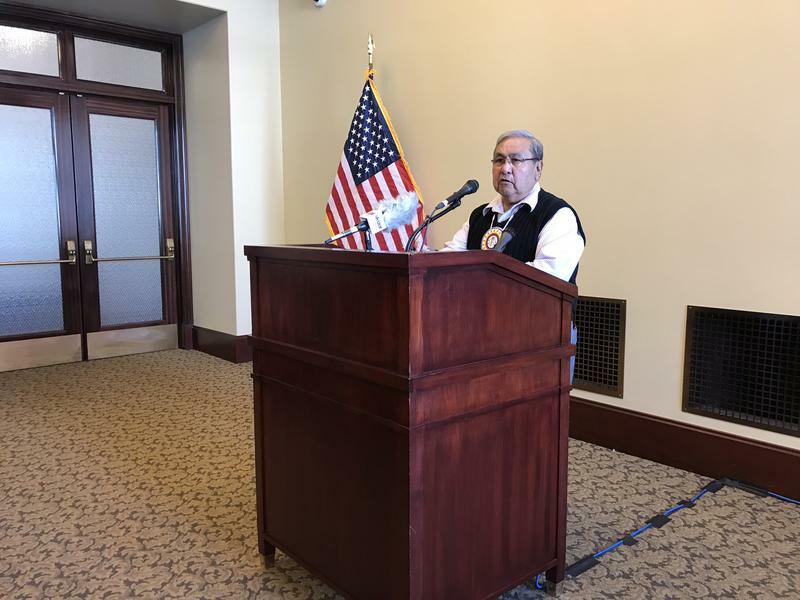 A coalition of tribal groups and House Democrats are calling on the state to give Native Americans a better seat at the table when making policy decisions.